The Christa McAuliffe Branch Library, formerly known as the Saxonville Branch, opened at 10 Nicholas Road in March 1963. The Library was renamed in 1987 for teacher and astronaut Christa Corrigan McAuliffe. In early 2016 the Branch moved into a new building on 746 Water Street, tripling in size and providing much needed extra space for programming, study rooms, computers, a large Children’s Room, and a new Young Adult area. 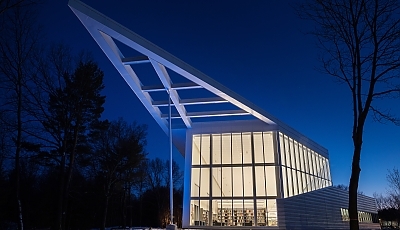 The McAuliffe Branch serves the north part of Framingham and is the second busiest of more than 100 branch libraries in Massachusetts. ...and the Metrowest Daily News! Read the story in the Metrowest Daily News here. 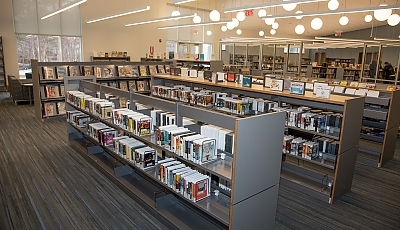 Read the Library Journal article on our beautiful library and others here.